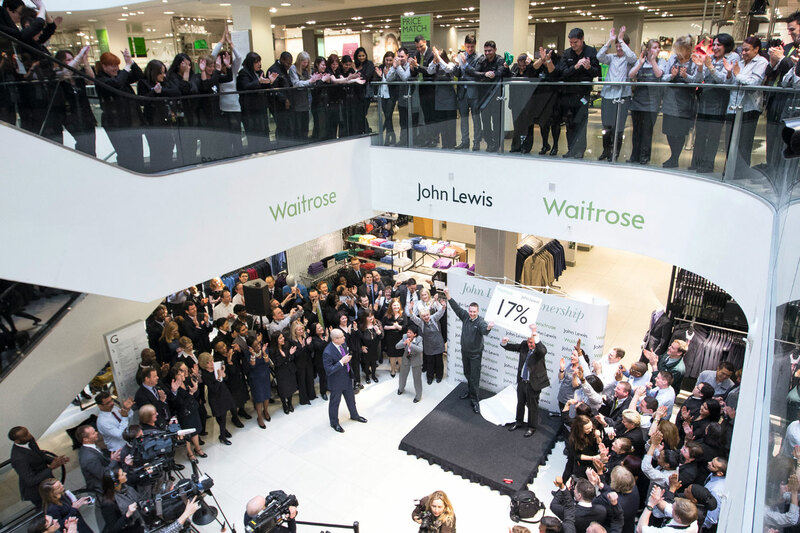 The John Lewis Partnership is the UK’s largest employee owned business and parent company of two cherished retail brands – John Lewis & Partners and Waitrose & Partners, which are owned in Trust by there 83,900 Partners. There are 51 John Lewis & Partners shops and 349 Waitrose & Partners shops across the UK, along with johnlewis.com and waitrose.com. There are also two international sourcing offices, a soft furnishings factory, various distribution centres, three Waitrose & Partners cookery schools, a content production hub, heritage centre and their own Waitrose & Partners farm. Over 100 years ago Founder, John Spedan Lewis, began an experiment into a better way of doing business by including staff in decision making on how the business would be run. He set out the principles for how the business should operate and produced a written Constitution to help Partners understand their rights and responsibilities as co-owners. The Partnership is one of a handful of companies to have a written Constitution. Uniquely, the Constitution places the happiness of its Partners (employees) and worthwhile, satisfying employment at the heart of its successful business. The Constitution also sets out the Partnership’s democratic governance system. The Partnership operates on democratic principles, sharing power with all Partners. Our first democratic council was set up 100 years ago in 1919. Today our democratic network of elected councils, committees and forums enables Partners to participate in decision making, challenge management on performance and have a say in how the business is run. We have over 3,000 specially elected representatives who feed into our three governing authorities – Partnership Council, Partnership Board and the Chairman, which run the Partnership. Partners reap the benefits of employee ownership by sharing ‘profit, knowledge and power’. Partners are able to feed their views to management through the formal democracy bodies and through the company’s weekly magazine, the Gazette which is the longest running in-house magazine in the UK and celebrated its 100th anniversary in 2018.